I’ve made waffles all of two times in my life, including today. I don’t often do the sweet thing for breakfast but I am working hard this summer to expand my cooking skills. And who knows when a waffle need might suddenly arise, after all; best to be prepared. What a treat! My white whole wheat flour with all of its whole grain goodness yet soft texture delivers yet again.These waffles were even lighter and fluffier than I expected (see the photo? ), with crisp outer edges and terrific flavor. While these little babies would be delightful with the standard maple syrup, my homemade blueberry syrup using sweet, local berries made an outstanding accompaniment. I might have made waffles only twice in my life thus far, but I definitely see more waffles in my future. Looks great! 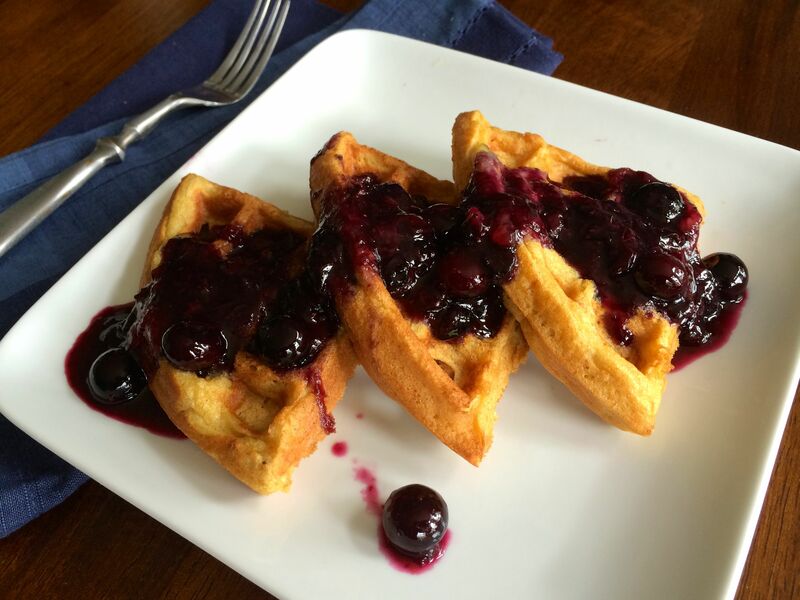 My favorite topping for waffles is blueberry! I sometimes have it for dinner, hehe. 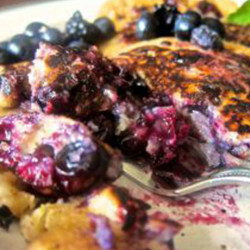 Weekend brunch is taken care of thanks to your recipe- looks incredible! 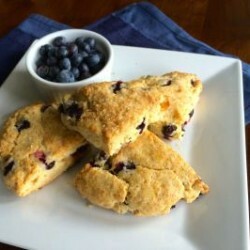 Maybe Miss Mary will make these for me for breakfast some week? If not, I’ll have to make waffles for the first time. They look fabulous, PK. Looks delicious! 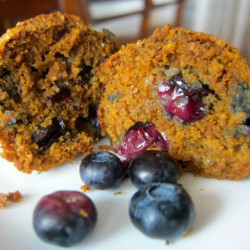 The blueberry maple syrup can be enjoyed on many other items too!